How much can you save on a short sale in Kennesaw Ga 30144? 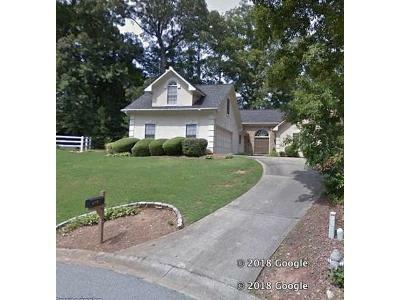 The short sale process in Kennesaw Ga 30144, for a buyer can be very profitable if the situation includes a motivated seller and a cooperative lender. Find the best short sale homes and bank-approved listings available in Kennesaw Ga 30144, at Foreclosure.com today for as much as 75% off market value. There are currently 1 short sale homes in Kennesaw Ga 30144, available for potential sale right now. Get the most current list of short sale listings in Kennesaw Ga 30144 — and the information and tools to buy them fast — at Foreclosure.com. Kennesaw is a city in Cobb County, Georgia, United States, located in the greater Atlanta metropolitan area. It had a population of 29,783 according to the 2010 census. Founded in 1887, Kennesaw has a past surrounded with railroad history. During the Civil War, Kennesaw was the staging ground for the Great Locomotive Chase on April 12, 1862. The city is perhaps best known nationally for its mandatory gun-possession ordinance. As the Western and Atlantic Railroad were being built in the late 1830s, shanties arose to house the workers. These were near a big spring. A grade up from the Etowah River became known as "the big grade to the shanties", then "Big Shanty Grade", and finally "Big Shanty". The name "Kennesaw" is derived from the Cherokee word gah-nee-sah, meaning cemetery or burial ground. Camp MacDonald, a training camp, was located there from 1861 to 1863. During the Civil War, Big Shanty was the site of major fighting in the Battle of Kennesaw Mountain, part of the larger Atlanta Campaign. Kennesaw Mountain National Battlefield Park, located southeast of the city limits, now contains many of these historic areas, though much of the surrounding land has been developed, and some buried artifacts have been taken by people with metal detectors. L.C. Chalker purchased a 1.25-acre (0.51 ha) tract of land adjacent to the Kennesaw Cemetery from J.W. Ellis in 1934, which was sold for burial purposes. Chalker purchased another 1 acre (0.40 ha) adjacent to the first parcel in 1948, which was also to be used for a cemetery. There are currently 1 red-hot tax lien listings in Kennesaw Ga 30144.